[08.09] This very high specification Middlebridge was ordered by Kohji Nakauchi ( Middlebridge CEO) it was fully loaded with extras including Moonroof, Air-con, recaro leather seats and much more. Unfortunately this car became one of the auction cars and sold for £17,400 + car tax. To date this super example of a high spec' Middlebridge has not been seen but hopefully one day soon. [ 10.10] These pictures were taken at the Lilac Grove factory and are courtesy of Mark Beedham. (Once again many thanks to Mark for sharing more rare footage with us all). Cheers Mark. To view the full original initial order + build paperwork for this car please navigate to the downloads area / MB 77 Original Documentation initial order + Build. [ 01.11 ] 'GREAT NEWS': I have been contacted by the owner of MB 77 who found us via the MB website! He bought the car from the original Middlebridge Auction and has stored it 'unseen' ever since (in England) The car has been very well cared for and is still unregistered for the road, After several conversations with the owner I am very confident we will see this car at MB events in the future. [06.11] The Current and only owner of this vehicle attended the Middlebridge Auction held by Walker Walton Hampton with the sole intention of purchasing one of the completed Middlebridge cars to be offered at the end of the auction. he bidded on every car to a predetermined limit but alas did not win any of them and left the auction empty handed. however before leaving he left his phone number with the auctioneer just in case any of the cars ended up not being paid for. Low and behold he received a phone call a week later and was offered the last car in the sale ie MB 77. After agreeing to buy the car I was asked what I would pay and the answer was "my last bid price". At this point I was informed that my offer wouldn't buy the car as someone in Holland was interested. Ok was the reply sell it to them instead then. Ten days went by and yet another phone call now telling me that the car was mine if I still wanted it, Of course I did and the deal was done. The car was then delivered to me on a transporter and had a very light scrape on the front bumper however due to the delay between auction and delivery he could not remember whether the damage was already on the car. The car has been laid up and stored since delivery and is still unregistered however very sadly over the passage of time the glassfibre body has started to suffer with osmosis. ( Very common problem with all Middlebridge cars). 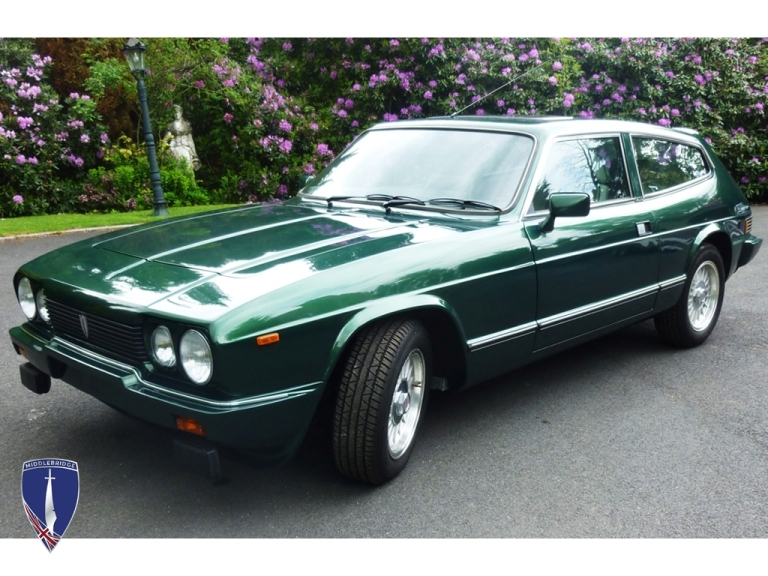 The owner has now forwarded me these up to date pictures of MB 77 and I must say they are truly mouth watering and whats more he will consider serious and sensible offers only for this truly unique piece of motoring / middlebridge history. MESS Products: Front Grille Badge.